The Bloomington Purple Raiders travel across the Twin Cities to face Normal West in the featured game of the Week 4 Extravaganza. The second of three regular season Intercity match-ups takes center stage on Friday night in Week 4 of high school football. The WJBC Friday Night High School Football Extravaganza features Bloomington (3-0) at Normal West (2-1). West coach Nathan Fincham said his Wildcats face a solid Bloomington quarterback in Griffin Moore as part of a solid core. Normal Community (3-0) steps out of Big Twelve Conference play to host perennial Class 8A power Neuqua Valley of Naperville. Ironmen coach Jason Drengwitz cautioned against taking Neuqua Valley’s 1-2 record lightly. 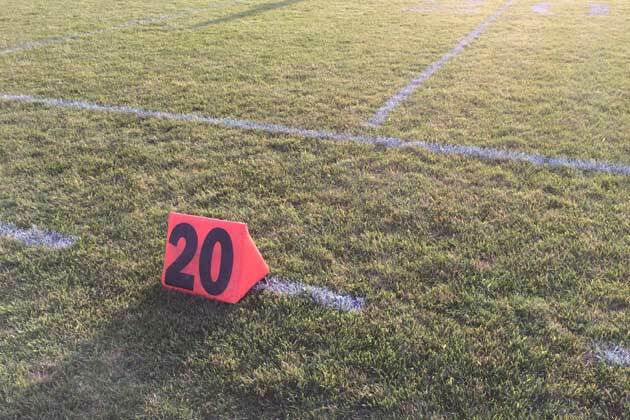 U-High (0-3) makes the 90-minute trip to Jacksonville (1-2) in Central State Eight Conference play, while in the Illini Prairie, neighbors Central Catholic and Olympia go for their first win of the season in rural Stanford. A pair of Heart of Illinois Conference Large Division games round out the Extravaganza as El Paso-Gridley (2-1) visits Tri-Valley (1-2) and Eureka travels to Deer Creek-Mackinaw in a game between 2-1 squads. The Extravaganza begins at 6:10 p.m. Friday with scene-setters, followed by updates every quarter hour and post-game coverage including interviews and analysis until 11 p.m. Updates can be found on the WJBC Sports Twitter feed (@SportsWJBC).